2012 Southern California Super Lawyer, Rising Star (Family Law) 2007 Southern California Super Lawyer, Rising Star (Family Law) 2006 Southern California Super Lawyer, Rising Star (Family Law) 2005 Southern California Super Lawyer, Rising Star (Family Law) 2008 Los Angeles County Bar Barrister Liaison to the Family Law Executive Committee 2008 Chairperson, Community Outreach Committee of South Bay Bar Association. Attorney at Law Kelley C. Finan is the founder and lead counsel of the Law Office of Kelley C. Finan. Ms. Finan was born in Cleveland, Ohio, and raised in Anaheim, California before moving to Los Angeles to attend college at UCLA. Ms. Finan graduated from UCLA in 1996 with a B.A. in History and obtained her Juris Doctorate Degree from Southwestern University School of Law in 2001. Ms. Finan was admitted to practice law in California in 2002 and her practice is devoted exclusively to the practice of Family Law. Ms. Finan has practiced law in both the Los Angeles and Orange County Superior Courts. Ms. Finan’s comprehensive family law practice focuses on helping divorcing clients to resolve their conflict through litigation and/or collaboration. She works effectively in either the traditional litigation arena within the court system or within the collaborative divorce model to help couples resolve their disputes without going to court. If court involvement is necessary for any particular case, Ms. Finan competently guides clients through the litigation process. Ms. Finan’s overall goal is to assist clients facing a divorce (or other family law issue) reach a resolution in the least adversarial manner possible so they can move on with their lives. 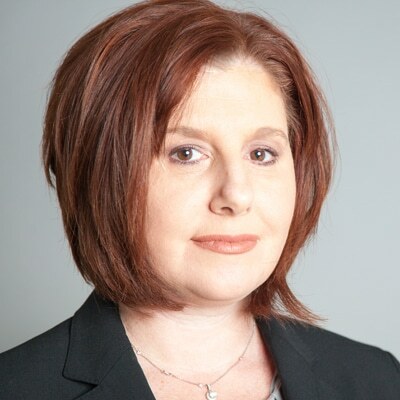 “I guide clients through the divorce process, protect their interests and listen to their concern to help them reach a resolution that is specifically tailored to their individual goals and circumstances.” Ms. Finan is a member of the American Bar Association, Los Angeles County Bar Association and South Bay Bar Association. She has also sat as a mediator for family law matters in the Southwest District. Ms. Finan is active in the collaborative practice community as a member of the Los Angeles Collaborative Family Law Association, the International Academy of Collaborative Professionals and the Association of Family and Conciliation Courts. Do you have a question regarding your family law case? Contact us today. “Kelley is a strong advocate and successfully defended me in a motion filed by my ex-wife to increase my spousal support payments. Kelley was conscientious and realistic with me throughout the entire process. When we went to court, Kelley was prepared and obtained a favorable outcome. I always recommend Kelley to my friends or family going through similar situations.” -P. D.
“Kelley facilitated a great resolution in my divorce proceeding. My case was not easy, but Kelley helped me to see the big picture and advocated for the best result. She guided me through one of the most difficult times in my life and for that I am forever grateful.” -S. L.
“Our office often recommends Kelley Finan as an attorney for our family law mediation cases. Clients unanimously report that she’s knowledgeable, thoughtful, and conscientious. She’s a problem solver, able to be tough when a case calls for it, and able to settle a case when that’s what is appropriate in the situation. We’ve referred clients to Kelley in the past and will continue to do so” -D. M.
“Kelley is a very professional attorney with whom I have worked on collaborative divorce cases. She is knowledgeable about the law, returns phone calls promptly, is respectful to her colleagues and has a great sense of humor. I would recommend her to anyone who is getting a divorce.” -V. B. “Kelley is a terrific attorney. She is smart, practical and caring. Her only concern is getting the best possible result for each of her clients. I recommend her without reservation (and in fact I have done so on many, many occasions).” -R. G.
“Kelley is an excellent attorney, who pays strong attention to details. I trust her to handle issue for my valued clients and I have no reservations in recommending her legal services. She’s also a nice person.” -F. C.